Off the streets & into the kitchen? My thanks to Virtual Museum follower Terry James for this image. 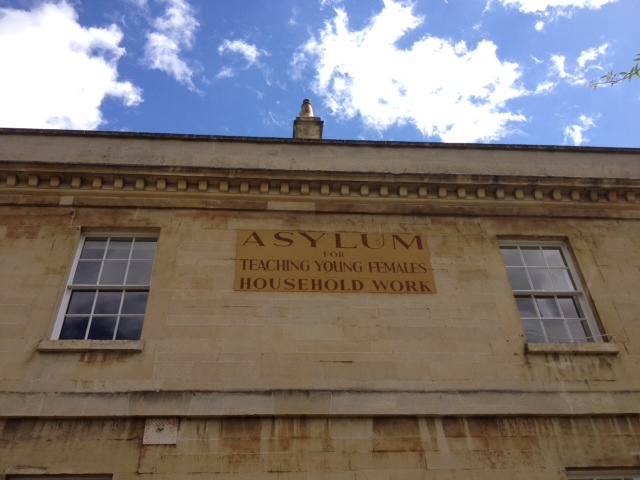 A sign painted on a Georgian house in Gay’s Hill, Lower Camden in Bath. Can anyone tell us more? There must be a connection between this ‘institution’ and the efforts to get young girls of ‘ill repute’ – off the streets?